Opening hours: Generally, shops in the city centre are open 7 days a week, from around 10 am until 7 pm. On Sunday shops open their doors at 12 am. On Friday shops are open until 9 pm. 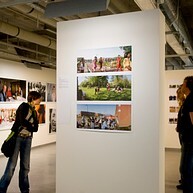 Rotterdam has a rich cultural scene centred largely around the cultural axis between Museumpark and Witte de Withstraat. This area includes acclaimed museums like Museum Boijmans Van Beuningen, Kunsthal Rotterdam and The New Institute, where large and small (international) exhibitions for old and new art, design and photography are presented. The numerous galleries around Witte de Withstraat and the city centre are also well worth your time. You don't necessarily have to head indoors to see art in Rotterdam, though. Pablo Picasso, Joep van Lieshout, Henry Moore, Paul McCartney, Elmgreen & Dragset: masterpieces by the world's most famous artists can simply be visited in public in Rotterdam. If you love street art, feast your eyes on the beauties around the Luchtsingel pedestrian bridge and the Hofbogen arches, where major and impressive wall paintings by local artists are progressively covering the walls. Rotterdam also boasts many theatres, concert halls and arthouse cinemas where you go to be inspired and touched by (classical) music, theatre, cabaret, dance and musicals from local, national and international artists and companies. Fans of arthouse films can indulge themselves at the charming old Cinerama cinema, at the LantarenVenster movie house or the new small Kino movie theatre. Or visit Rotterdam in January during the global International Film Festival Rotterdam. 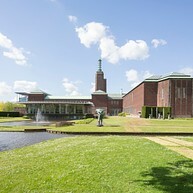 Museum Boijmans Van Beuningen is one of the oldest museums in the Netherlands. Throughout the year, the museum hosts a rich spectrum of temporary exhibits on a variety of subjects. Besides that, the collection of paintings, sculptures, drawings, etchings and objects is impressive. It features many major Dutch and European works spanning the period from the early middle ages to the 21st century, from Jeroen Bosch to Rembrandt and from Van Gogh to Salvador Dalí and Dutch Design. In the Museumpark, Museum Boijmans Van Beuningen is building an art depot: Depot Boijmans Van Beuningen. It will make the entire collection of 145,000 objects accessible to the public. Museum for international expressionism in one of Rotterdam’s most beautiful villas, a monument in International Modernist Style. The public art depot for the Museum Boijmans Van Beuningen provides an enormous amount of storage space for art, accessible to the public. Furthermore, there is a sculpture roof garden and a restaurant with a beautiful view over Rotterdam. The depot is scheduled to open its doors in early 2020. 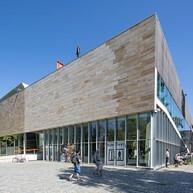 The Kunsthal is housed in a building designed by OMA. The way that it joins the Westzeedijk, it resembles a modern version of a traditional Dutch dyke house. The Kunsthal presents several exhibitions simultaneously, taking visitors on an exciting journey through various cultures and art movements. From modern masters and contemporary art to forgotten cultures, photography, fashion and innovative design. Museum Rotterdam is about the city and its people. 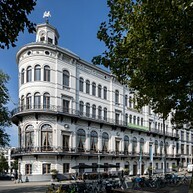 It presents the past, present and future of Rotterdam in the spectacular building the Timmerhuis. 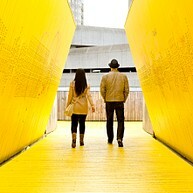 The ultimate arts and culture street in Rotterdam is known for its artistic, multicultural and lively character. Referred to as the city’s ‘Axis of Art’, it runs from the Maritime Museum to the Museumpark and is lined with galleries, avantgarde fashion boutiques, restaurants and (art) cafés. Take a journey through the maritime world in the Maritime Museum with modern exhibitions for adventurers big and small. Discover how the port of Rotterdam began here, onboard of one of the historic vessels in the museum harbour. The Wereldmuseum takes you on a journey around the world, offering insights into cultures and traditions different from our own. The artefacts are also a reflection of Rotterdam’s wanderlust, international connections, colonial past and trading spirit. Besides the primary collection the Wereldmuseum presents changing exhibitions that focuses on one continent or theme. With its impressive collection of more than 5.5 million photos, the Nederlands Fotomuseum is the leading national museum of photography in the Netherlands. The collection comprises an important part of the Netherlands’ visual heritage. TENT is an exhibition room and addresses significant and current developments in contemporary art through varied exhibitions and events. TENT is a stepping stone for young artists, an ambassador for Rotterdam’s art. 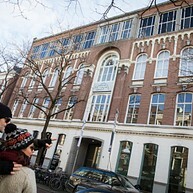 One of the most important institutes for contemporary art in the Netherlands and internationally regarded as a pioneer. 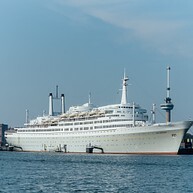 The ss Rotterdam is the largest passenger ship in The Netherlands. You can come here just to enjoy a delicious meal at the restaurant or spend a night here, take a stroll on the deck and be amazed by all the beautiful artwork in different rooms. The Luchtsingel connects Rotterdam North to the centre and revitalises a forgotten area. The project consists out of a wooden pedestrian bridge of 390 metres, The DakAkker (Urban Roof Farm) on Schieblock, a public area at the former station Hofplein and park Pompenburg. 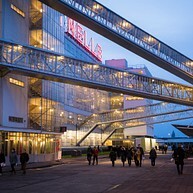 Crossing the pedestrian bridge brings you to Station Hofplein, the former station building that is now home to a number of restaurants, shops and a jazz club. The Sonneveld House stands adjacent to Het Nieuwe Instituut. 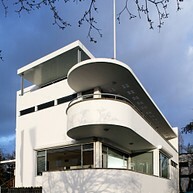 Built in the early nineteen thirties, it is one of the best-preserved houses in the Nieuwe Bouwen style, the Dutch branch of the International School of Modernism. 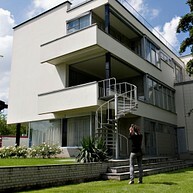 As a visitor, you can see for yourself what it was like to live in a hypermodern home in 1933.